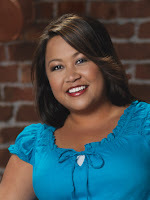 Orchid Paulmeier, 38 (Bluffton, S.C.), a first-generation American from a Filipino background, started her culinary career as an ice cream scooper in high school, and only went up from there. She’s worked as a general manager, head trainer and personal chef and now owns One Hot Mama’s restaurant in Hilton Head Island, S.C. This outspoken mother of three prides herself on her Southern barbecue and is well-known locally for her wings and ribs. Orchid is a finalist in the Food Network Star contest in the US. An element of this contest is online voting. No registration is required. So visit the Fan Vote Section and choose Orchid! Up to ten votes per day allowed! She is currently second so your votes will go a long way.